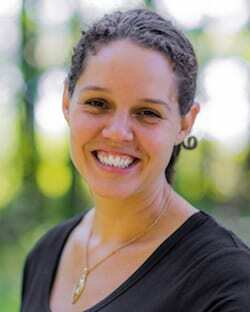 Sylvia van Meerten earned her BA in Liberal Arts from the Evergreen State College in Olympia WA, and her master’s degree in Counseling Psychology from The Union Institute in Vermont. She specializes in autism spectrum disorder (ASD) and has dedicated her professional career to creating opportunities for people on the spectrum. A resident of Asheville, North Carolina, Sylvia designs in-home programs to support communication among family members. She also creates individual transitions plans for teens and college-age people with ASD. In addition to her work with families, Sylvia has constructed and implemented successful overnight camp programs for young people with ASD at Dragonfly Forest, Camp Tall Tree and Frost Valley YMCA. She is committed to sharing information and routinely delivers workshops to teachers, nurses and youth development professionals about practical strategies for including people with ASD in typical programming. An avid sports fan, Sylvia spends much of her free time watching and playing basketball, football and martial arts. She grew up in Ann Arbor, Michigan, and was a camper and a counselor at several overnight camps in the area. Sylvia believes that summer camp has profoundly influenced both her work ethic and sense of humor for the better.